In recent years I have watched in dismay as bureaucrats walk a tightrope between nationalism, politics and business as usual. In an attempt to present the nation with please-all policies, they do indeed please millions… who already benefit from an exploitative system. But they will drive the ecosystem people — fisherfolk, forest dwellers, marginal farmers, pastoralists and adivasis — even closer to the edge of despair. “We need more infrastructure” they say while planning the usurpation and destruction of the infrastructure of more than half-a-billion souls — rivers, coastlines, lakes, grasslands, forests and hill sides. While dreams of building spanking new highways come true, over one million people will be forcibly displaced, their lands acquired under antiquated laws crafted by the British to pillage ordinary Indians. And, having shot their newly-borrowed World Bank wad on new roads, they will be left with nothing to repair and maintain the over one lakh kilometres of state and national highways which are rotting on account of neglect. During the many speeches, false promises and hypocrisy of the 50th Independence Day Celebrations, the media, once again, dutifully brought home to us the shenanigans of a ruling class far removed from the reality of ordinary people. Each time I witness such charades I feel a growing sense of disquiet, bordering on shame, at the manner in which one set of Indians consumes the assets, hopes and aspirations of their less powerful compatriots. 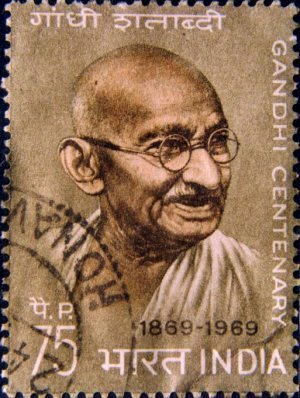 Day after day, despite new scams and convictions hitting the headlines, we continue to be subjected to the sight of politicians of all hues, wearing the uniform of Gandhi even as they abuse his nation-building value systems. 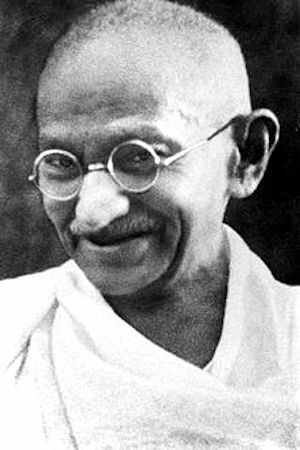 Perhaps the words of Gandhi: “In the name of God…go!” should now be addressed to the neo-colonials in our midst. These worthies picked up the tools of colonialism which the British left behind in obeying Gandhi’s terse request. Such tools are even more brutally used against our people today than they were in the hands of the British. Which, perhaps, is why the National Alliance of People’s Movement cry: “Enough is enough, in the name of God… go!” has indeed begun to cleave the air once more. This time by the millions who reside in Dakshin Kannada, Narmada, Tehri, Indravati, Dahanu, Pooyamkutty and Koel Karo. Such communities are joining hands against the inheritors of British power — India’s politicians, planners, big businessmen and bureaucrats. These latter-day colonialists festoon themselves in tricolour images, yet see no irony in regularly and unashamedly using the black Acts crafted by the British — Land Acquisition and Official Secrets — to accomplish their dark deeds, including the displacement of adivasis and the loot of the lands, forests, rivers and ancestral properties of our rural poor. Given such ruthless exploitation, it is little wonder that the seeds of separatism and violence have sprouted through the length and breadth of our once-peaceful land. Indeed, those who fear the dismemberment of India should consider whether our country has not already been split in two — rich India… and poor India. Only self-inflicted myopia prevents us from recognising this tragic reality. How different things would have been had Gandhiji been alive today. If we had him at the forefront of the human rights and environmental movement he would have travelled from village to Indian village to consult with the people. Instead of dispensing knowledge to them, he would have learned from them their technologies for survival and sustainable development. He would then have prevailed upon the rest of us in urban India to set an example of simple, ecologically sound, living for the benefit of others. After nearly two decades of meandering through the perplexing paths of environmental rethink, I have come to the conclusion that Gandhiji had provided solutions to our current environmental problems even before they had cropped up. He was not merely a man before his time, but also an environmental prophet whose precious life was squandered on a people who, even decades after his death, have failed to recognise his true worth. Yes,It is distressing to note the adverse effects of ‘Development’. let me refer to the ‘Chennaihomes for Senior Citizens’ located in the midst of a remote village in Kottaikadu near Pondichery. Promoted by a Visonary-Lady-Enterprenuer,we-residents have modern facilities in rural environment,supported and sustained by valued services of the rural-folk. Whatrust is more: a co-resident-couple (a retired engineer and retired school-principal) have developed few acres nearby, as a self-sustained model-farm,co-operating with nearby farmers, practising drip irrigation and crop rotation, enhancing agri-productivity, again reversing the trend of rural migration to crowded cities!